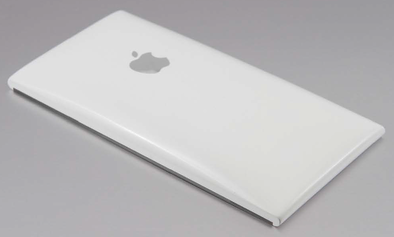 A circa-2006 prototype Apple tablet PC with a stand. 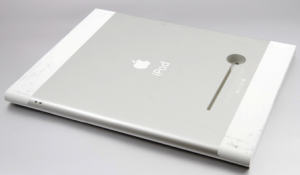 Among the iPhone prototypes is an octagonal model, labeled "boeing v6," with angled corners and a two-tone design that has a black front and white, curved back. 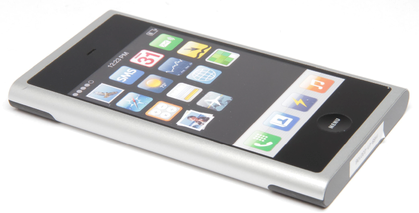 There's also a prototype that's longer and thinner than the eventual iPhone that would go on sale in 2007. 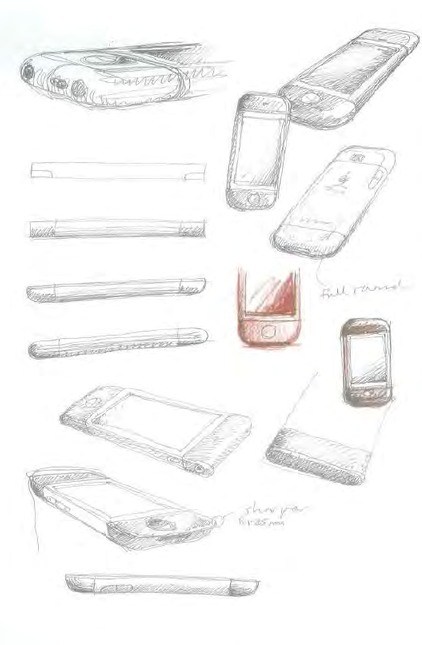 Most of the prototypes appear to come from 2006. In one photo, an early set of icons are arranged on screen with no text underneath -- something that was present in later prototypes. While some icons, such as those for weather, stocks, calculator, and Safari, appear to have gone almost unchanged, others have been through redesigns. 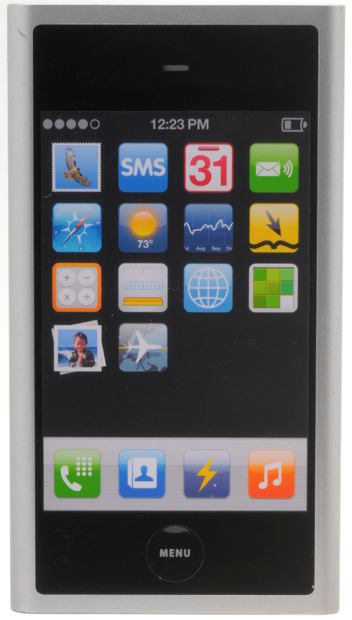 An early version of the iPod button was an orange box with a music note, something Apple later changed to an iPod icon, and the gallery icon was a young boy on a beach, not the sunflower familiar to millions of iPhone users. The case is 11-01846, Apple v. Samsung Electronics, in the U.S. District Court for the Northern District of California.